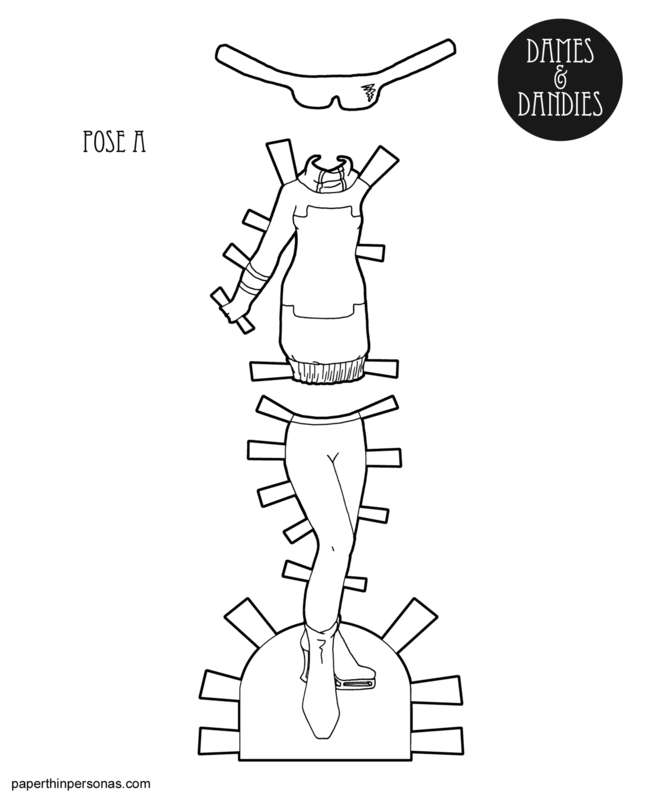 So, I’ve had this idea rattling around my head for a while to create mini-wardrobes. 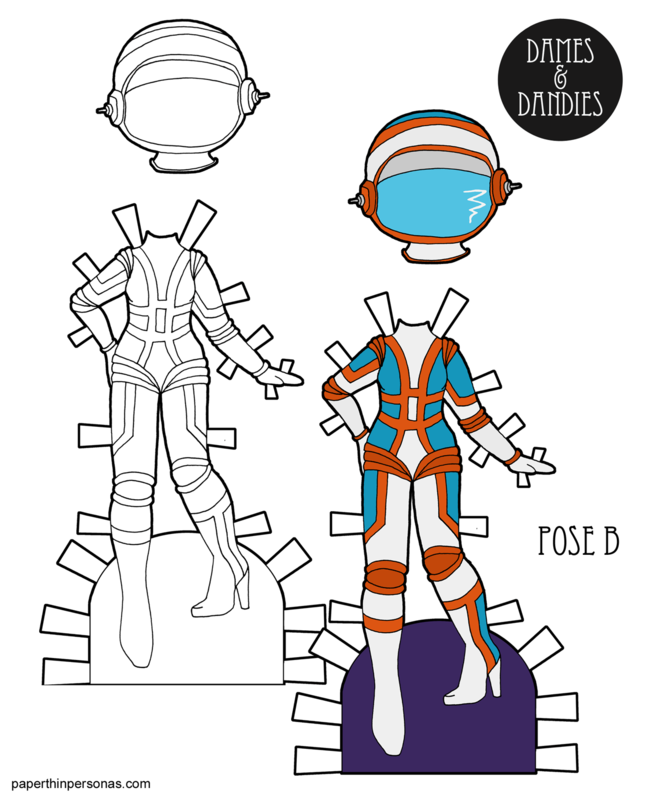 Not, you know, whole sets or anything, but like mini-collections around a theme for the Dames and Dandies paper dolls. This is the first of these sets. This might also be the last of these sets, but I really like the concept. I suppose some of my theme weeks are a similar idea, but I don’t really think all the 1940s pieces are mix and matchable which is a central idea of the mini-wardrobe. 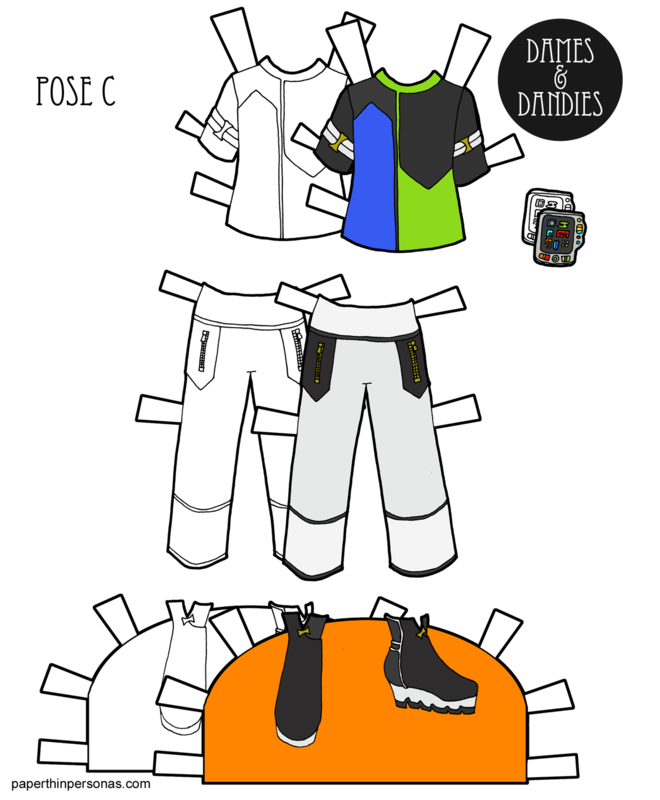 Today’s Dame and Dandie Mini-Wardrobe is for the B Pose paper dolls and is sci-fi themed, maybe cyberpunk, but maybe not gritty enough for that? I’m unsure. 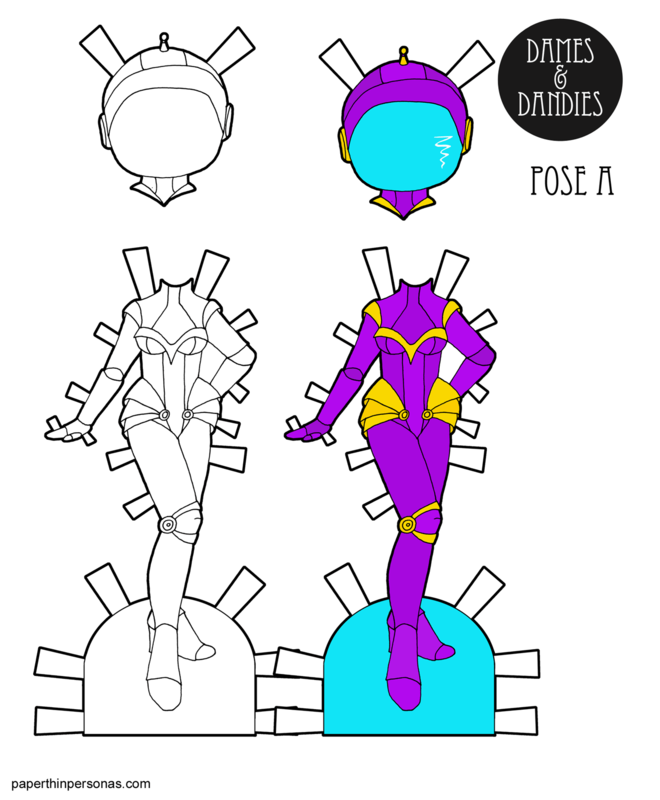 The idea in my head was to combine these pieces in different ways. 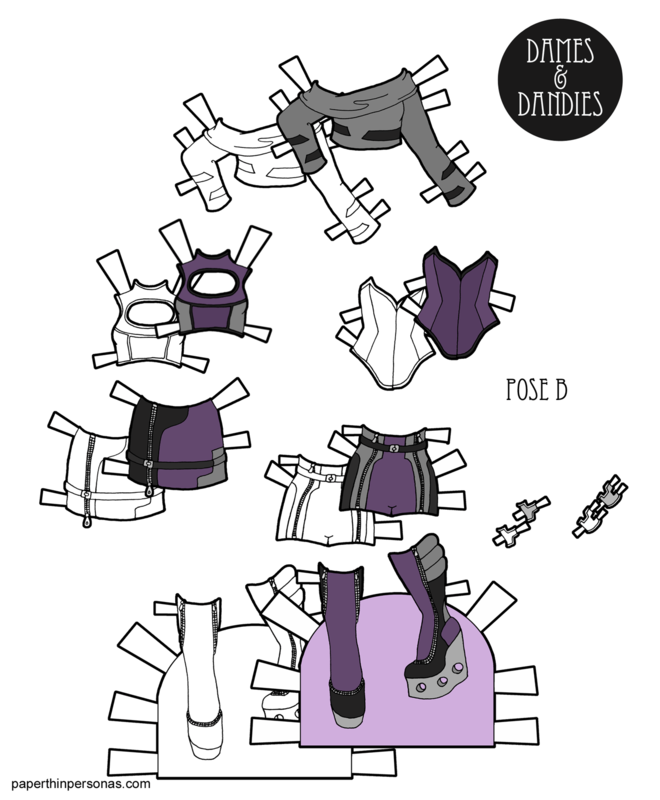 The long sleeved crop top can be worn alone or it can be worn as a layering piece over the corset or high necked top. The boots match, of course, and were super fun to draw. I was inspired by this pair. People ask a lot about inspiration. 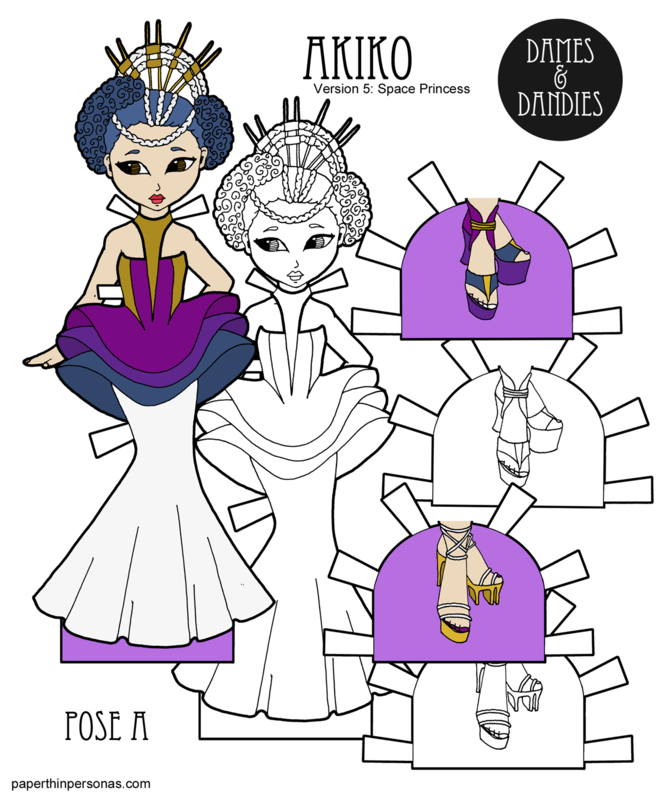 For this mini-wardrobe, the whole inspiration was those boots. I loved those boots.